What if our cities were adaptive? As the global population increases, our cities grow larger. This growth is accompanied by population and demographic changes, skyrocketing real-estate costs, sprawl, encroachment of green space, increased air and sound pollution, traffic standstills, and inadequate housing. Are our cities as efficient as they could be? There exists inefficiencies in spatial usage and spatial qualities within the urban fabric from abandoned buildings and lots to buildings that are empty for more than 12 hours a day. What if a city could adapt quickly to turn those inefficiencies into opportunities and find a new ideal state? The Adaptive City Graduation Studio explores the theme of physically adapting cities. We started by identifying the frustrations, limitations, and conflicts of an area we selected in Rotterdam. 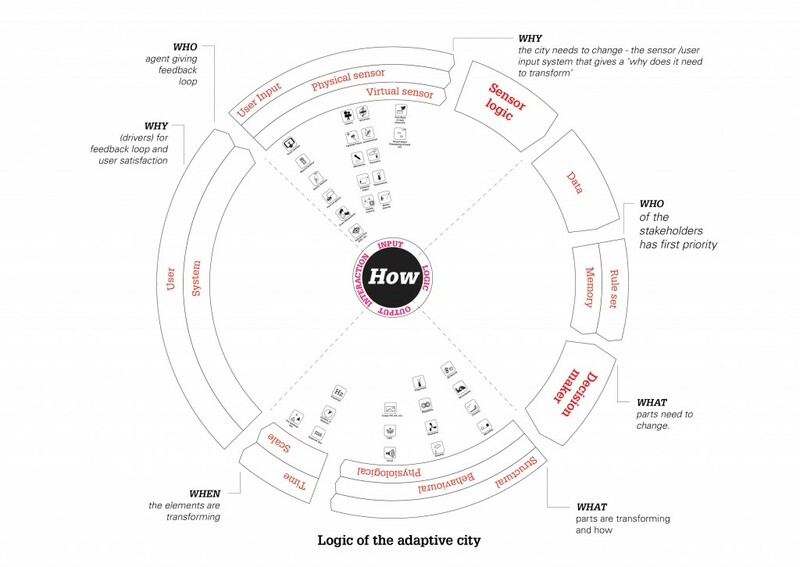 This led to a brainstorming …What if ‘The Adaptive City’ was… ? To better understand those dreams and the site research we devised a framework for categorizing the research. Similar to the way an urban designer traditionally understands a site by decomposing the urban fabric into layers of infrastructure, built environment, waterways and public space, this research decomposes the invisible processes of the city into 4 distinct questions. These questions are non-hierarchical and their relations to each other can change; this formulates an open system of inquiry. Why does the city have to adapt? 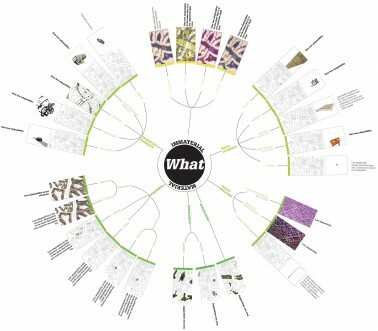 The ´Why´ lens exposes and categorizes the drivers for adaptation. When can parts of the city adapt? The ´When´ lens exposes, at different scales, which parts of the city are being used at different timeframes. Who uses, owns, and regulates the adaptive city? 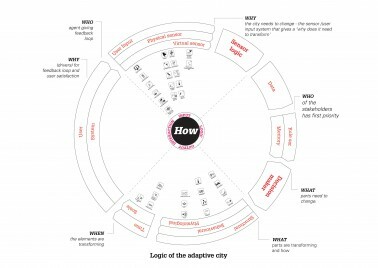 The ‘who lens’ relates those elements to the agents of the city, by defining who uses, who owns and who regulates. 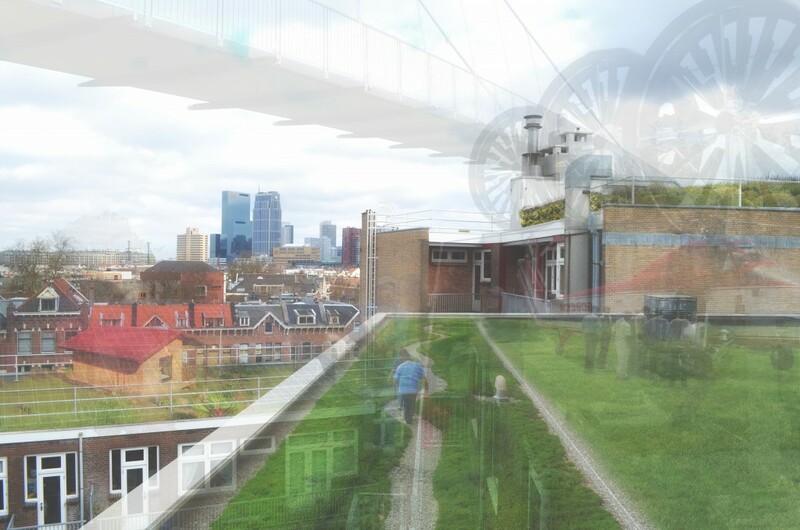 The ghost image, a method of overlaying instances of the same image, allowed the testing of the character and visual affects of the adaptive city. Within this research, five graduation projects were developed in parallel, two projects are still in progress.